Matriarchy, as opposed to patriarchy, was first recognized around 1850 with the publication of The League of the Ho-de-no-sau-nee, or Iroquios by Lewis H. Morgan. This documented a matriarchical kinship system among the American Indians. A decade later Jakob Bachofen showed that matriarchy survived in ancient Roman law. Bachofen later recognized matriarchy as a pre-patriarchical tradition on a global scale when the Great Goddess was the principle deity and matriarchy was the foundation of kinship. The culture of the Paleolithic period lasted until about 10,000 years ago when the advent of agriculture marked the beginning of the Neolithic. 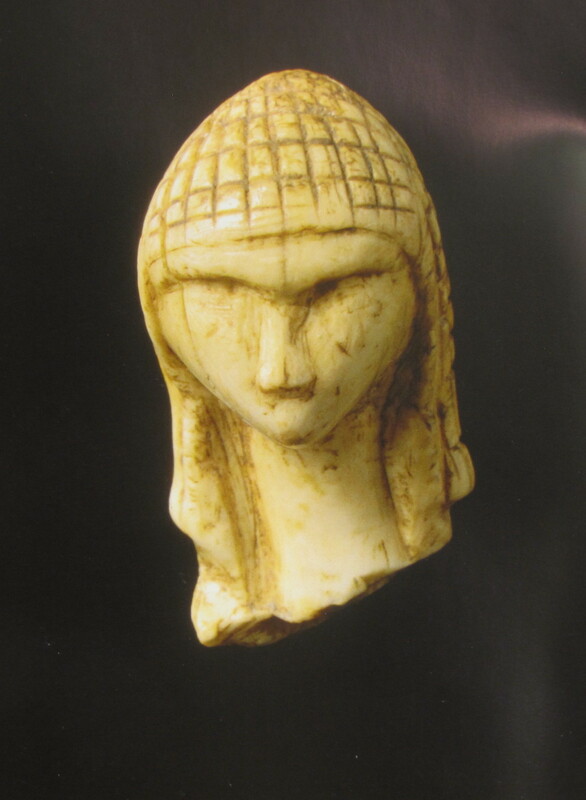 The imagery of the Great Goddess reaches back to the earliest Paleolithic prehistory with the first sculptures of bone, ivory and stone and the concomitant symbols; the vulvas, triangles, chevrons, zig-zags, meanders and cupmarks. The theme of the Goddess is the mystery of birth and death and the renewal of life. As the giver of life and wielder of death she is the regeneratrix represented with images of fertility and fecundity. Death was part of regeneration and was not the end of anything but rather a necessary part of regeneration. Images of death can also be life affirming, with breasts carved into symbols of dying . It was her role to receive the dead back into her womb. The passing of the seasons marked the drama of rebirth each spring, and the drama of death each fall in the dynamic energy of cyclical time symbolized by the whirling, twisting spirals of life energy witnessed in the movement of the stars rotating around the north star. The cycles of the moon were represented in the coiled snake which was an affirmative symbol, not a representation of evil. White not black, was the color of death. 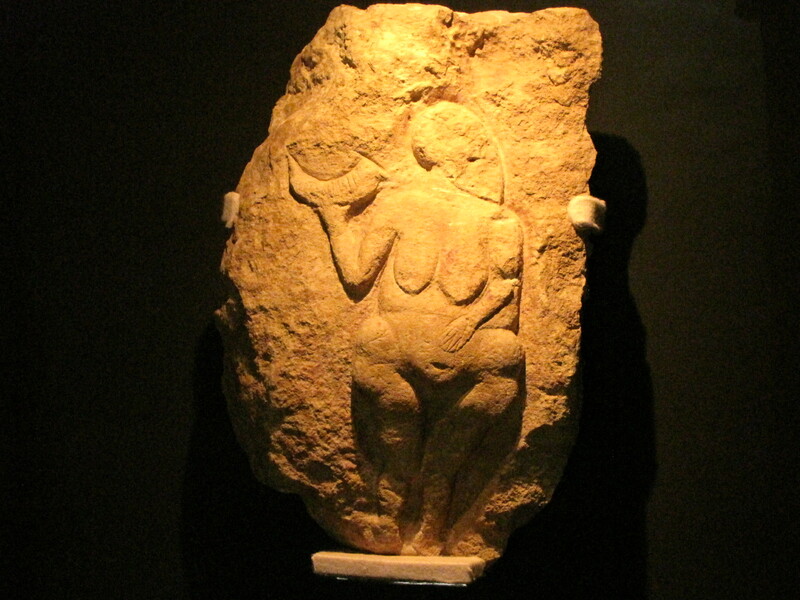 The images of the Paleolithic Goddess are mythological messengers, one famous image from a rock shelter just outside Ezyies depicted the Goddess holding a bison horn with thirteen lines counting the moons and the mysteries of generation in the monthly rounds of menstruation. 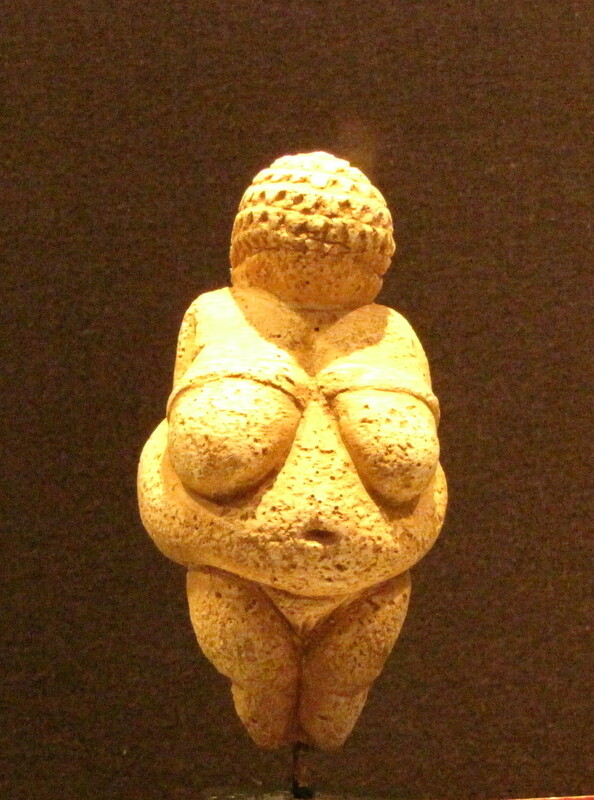 Many of the amazing Goddess statues have enormous breasts and buttocks with no facial features and no feet. In later incarnations the Goddess was called Lady of the Wild, Protectress of the Hearth and Consort of the Moon personifying the mystery of the moon, suggesting pregnancy, childbirth and fecundity. Her image was often associated with water birds and the serpent. She was associated with the hunt, both for animals and for plants. The cave is the womb of the goddess, the nuclear life force, the egg, and the coiled snake. These images became orthostats in the form of multilined nested circles, spirals, cup shapes and whirling parallel lines. Marija Gimbutas, in her book The Language of the Goddess, indicated that patterning hands imprinted on cave walls are the touch of the goddess imparting her presence apotropaically, to avert negative influences. The Goddess represented the source of all life, its primordial unity found in water from which all life emerged but also in stones, in plants and animals, in birds and fish, in hills and trees, in flowers, in the natural wonders of the sacredness and mystery of life and death.